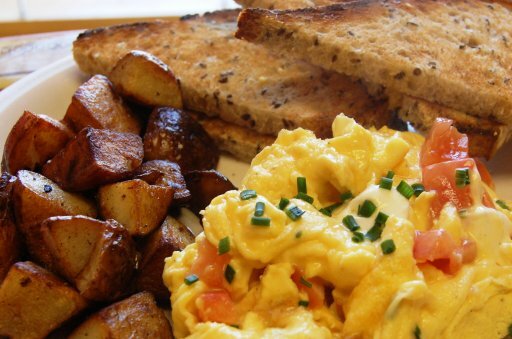 Scrambled eggs, potatoes and ham served with bread and butter. Coffee served with assorted pastries. Freshly squeezed orange juice served with assorted pastries. Fresh baked French pastries, gourmet cheeses, served with fresh fruits, orange juice and coffee creates an elegant buffet. Scrambled eggs with side of sauteed mushrooms, bell peppers, caramelized onions, fresh tomatoes, spinach and shredded cheese. Served with sliced bread, potatoes, seasonal fresh fruit display, orange juice, and coffee service. A delicious assortment of our cookies and housemade brownies. A variety of bottled juices. Our excellent coffee, regular or decaffeinated. Box holds approximately 12 cups. Recyclable, easy to open and retains heat. Our delicious orange juice by the bottle. An assortment of freshly baked goods.